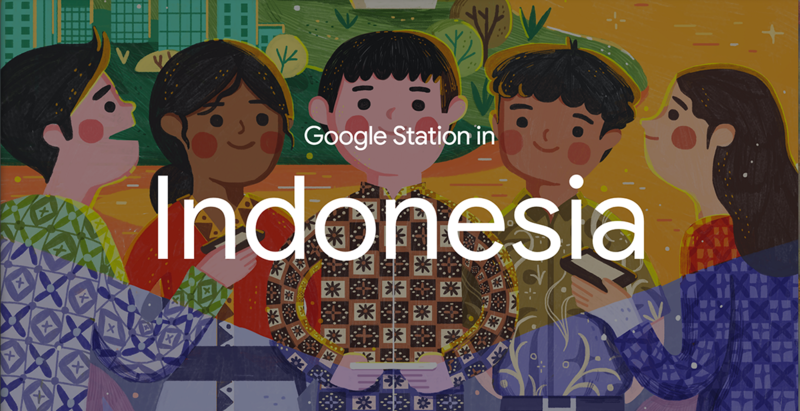 This is an illustration I did for Google to represent its Google Station launch in Indonesia. Google Station is a public free & high-speed internet service. It has been launched in Mexico & India, and recently here at Indonesia. It will be available at most public spaces like hospitals, parks, universities, sport centers around Java & Bali soon! They have covered 30 places around Jakarta & nearby areas so far and hopefully more to come soon. 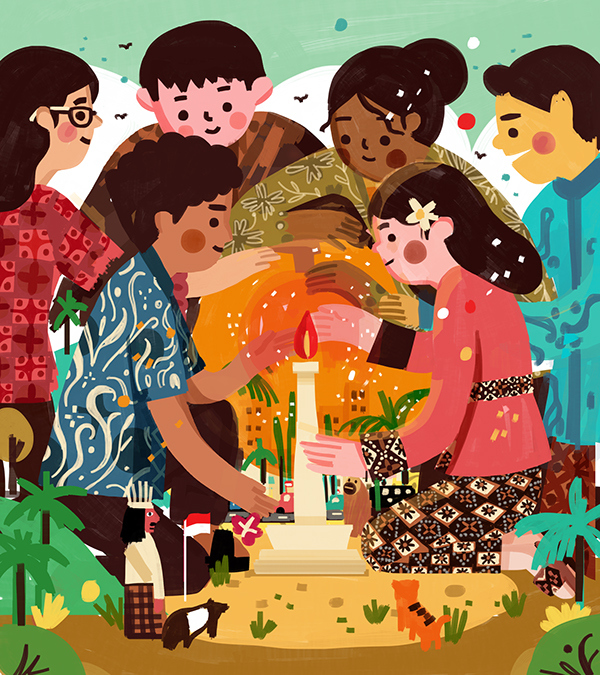 The brief was to create an illustration which highlight the locality of Indonesia, but somehow still carries the value of the product. Which is to connect Indonesia through the internet provided by Google, and to improve the lives & productivity of the people in Indonesia. Here are some rough color sketches that I propose initially. Have a look at the description on each sketches as well. The First Option: "Good Morning, Indonesia!" The first option is titled "Good Morning, Indonesia!". 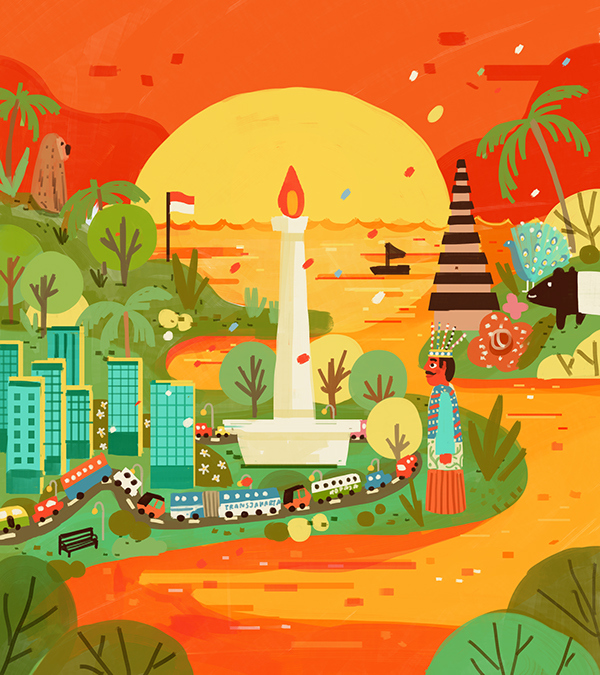 Highlighting the natural beauty of Indonesia; I drew tropical island, cities, our iconic national monument, Ondel Ondel the traditional icon, rain forest animals, and of course all sorts of Indonesian vehicles. All of them are taking a moment of appreciation by the sunrise. It is also to show the bustle & hustle of Indonesian people even in the earliest morning. The second option: "Connecting Indonesia"
The second option is titled "Connecting Indonesia". This piece is more focus on the people. They all wear traditional clothes & are different in races as well to show Indonesia's diversity. There is a contrast between the monochromatic color scheme & the colorful. The bridge between those two contrast is the tablet/ gadget the guy in the illustration holds. In a way, I want to show an enlightenment that people get after being connected through internet. In the background, I still put the iconic Indonesian scenery & national monument to add more local characteristic. The Third Option: "Protecting Indonesia"
The Last Option is titled: "Protecting Indonesia". This visual is almost about patriotism towards our country. 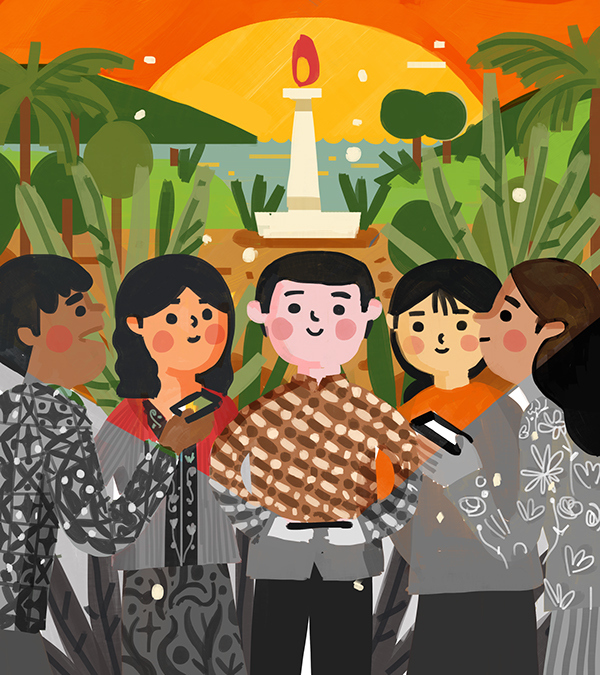 The young people in Indonesia (again, with traditional clothes, different races to show diversity) are protecting the light from our national monument. Our national monument is a statue of porch, so in this metaphor, its light represents Indonesia's light as a whole. I want to show the togetherness & the grit of young people of Indonesia. 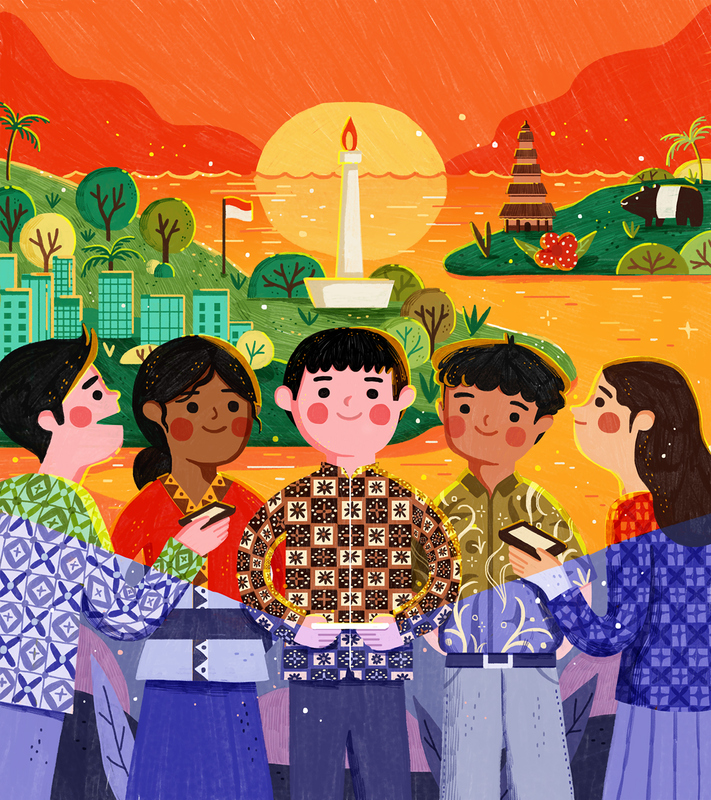 After all, we have this Javanese saying, "Bhinnekka Tunggal Ika" which means "Unity in Diversity". Out of those three options, Google wanted to combine the first & the second option because they love how I include the value of their product into the second one and also the scenic iconic visual from the first option. Therefore, here's the final illustration! If you're interested in knowing more about Google Station, Feel free to check out their website here!